"If you have never tried US or Australian racing then this weekend is a good opportunity to give it a try." It's the time of year for marathon trading sessions. Lots of quality racing around, but most of it not in the UK! UK racing starts in the early afternoon at this time of year, then morphs into evening racing. 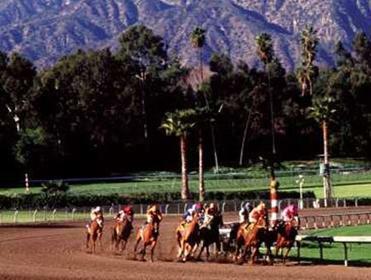 Today and tomorrow we also have the Breeders' Cup at Santa Anita in California late into the night. As that ends we immediately switch to the Melbourne Cup meeting at Flemington. In theory you could trade on just racing from just after midday today right through to 7am tomorrow morning. It would be a marathon session but it's likely you could get a marathon result from it as well. The Breeders' Cup is one of the highest profile race meetings on the Calendar. Taking place in Arcadia, California against the backdrop of the San Gabriel mountains. Horses arrive from all corners of the world to compete for big money. With all that interest you get a strong betting market and that in turn makes it a very strong trading market. It's often quiet on Friday but it tends to come to life a fair bit on Saturday, when the main racing is on, and is worth a crack. Breeders' Cup markets have come close to reaching £2m in matched bets in the past. The Melbourne Cup carnival speaks for itself and is packed full with quality racing and lots can be expected from that over the next week. It runs until next Saturday and is also worth checking out, but the timing for UK based traders is tricky as it occurs in the early hours each morning. There are quite a few Bet Angel customers that automate their activity on the Aussie racing rather than get no sleep, you may want to try that! I've traditionally picked up good results on both meetings in the past. So if you have never tried US or Australian racing then this weekend is a good opportunity to give it a try. After many years of trading it, I'm actually in California this week to witness the spectacle first hand, so a very different experience for me this year. Hopefully I catch a bit of a sun tan as well. It's going to be a busy couple of days ahead. Good luck!